Taxes make infrastructure and services possible. 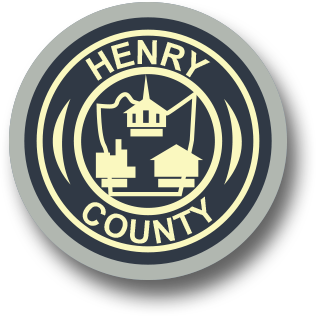 Henry County would not have public schools, law enforcement protection or public safety entities were it not for the tax revenue provided by County citizens. All localities in Virginia have a personal property tax. Henry County taxes cars, trucks, buses, motorcycles, motor homes, trailers, boats and aircraft. The tax is assessed by the Commissioner of Revenue and paid to the County Treasurer. Business licenses are a minimum of $30 annually. Please contact the Commissioner of Revenue at (276) 634-4690 or via e-mail at llove@co.henry.va.us for more details. Dog tags can be purchased in the Treasurer's Office in the County Administration Building or by mail.